“Who said movember is an annual trend ?? Don’t w8 till next year to get your Shanab on .. Check out the latest collaboration between Obsessed and the amazing Kuwaiti calligrapher Jassim Alnasrallah ..
All the t-shirts are embroidered and available for Men & Women .. They come in two colors grey & white .. Sizes Small – Medium – Large – XLarge ..
Not impressed. Just another so called artist stealing ideas from other local talent. When will ppl start respecting copyright? They stole it from who? 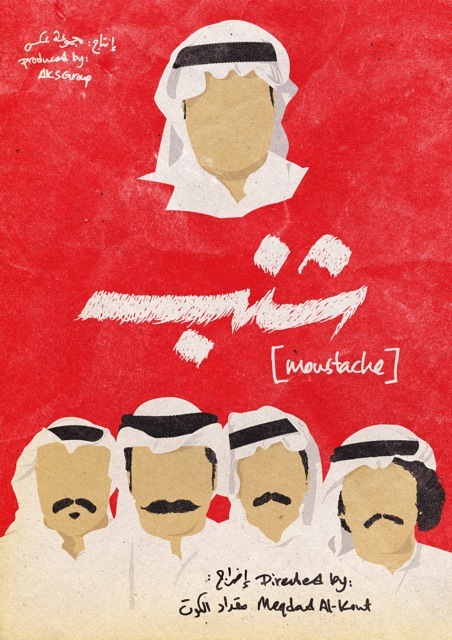 Yeah the idea is totally ripped off from Talal Obeid’s poster for Meqdad Al-Kout’s film, Shanab. 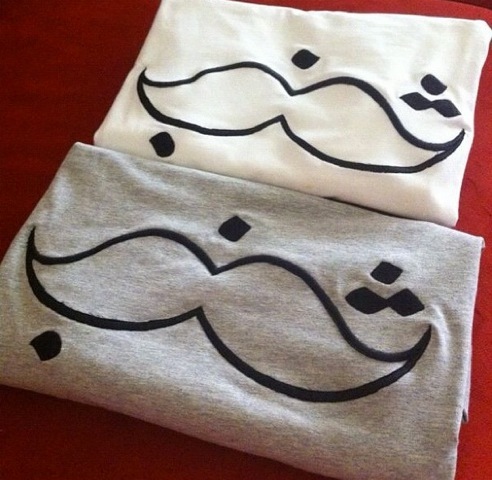 discovery issue or a creative idea its what we call it ( Habbah ) in Kuwait what ppl talks about just convert it into T shirt or whatever to sell it , This Mustache thing is old but it comes back again ! I do agree with u at sm point … people should be creative with their ideas but it doesn’t hurt when u take a concept & twist it a bit! it’s like the spike fashion & neon jewelry! You’re right but in that point we can’t just accuse someone by steeling while he already took that idea from the others , There is a difference between creating a thing from something and creating a thing from nothing ! maybe its about stealing the concept!